My son loves music and he plays the piano and guitar well . He started learning to play the guitar when he was a young boy of age 10. Hardly can hold the guitar I can still remember :) He will just strum the guitar as if he knows how to . Well , today he is a good guitarist and he keep changing guitars often. I know he is eyeing this Gibson SG for sometime now. 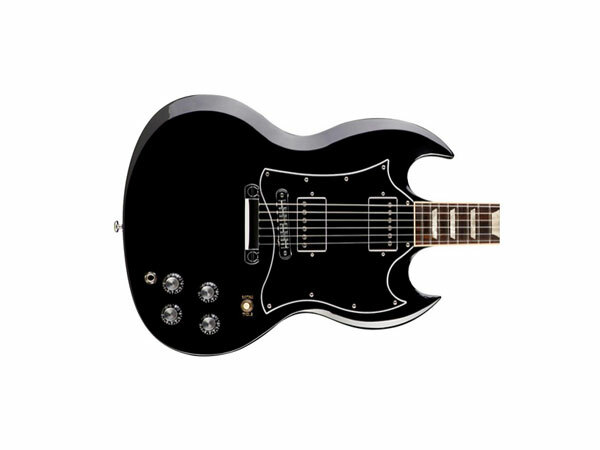 Well, I am in favor of him selling off his old one and get this Gibson SG after all Christmas is just around the corner . He should reward himself one since he will be joining his colleagues in music jamming during the weekends. Gibson SG gives Smooth, efficient performance with a vintage vibe and I seriously think he has made a good choice. A musician knows best though.